The perfect gift for the momma-to-be! A unique and thoughtful way to commemorate the birth of a new baby! 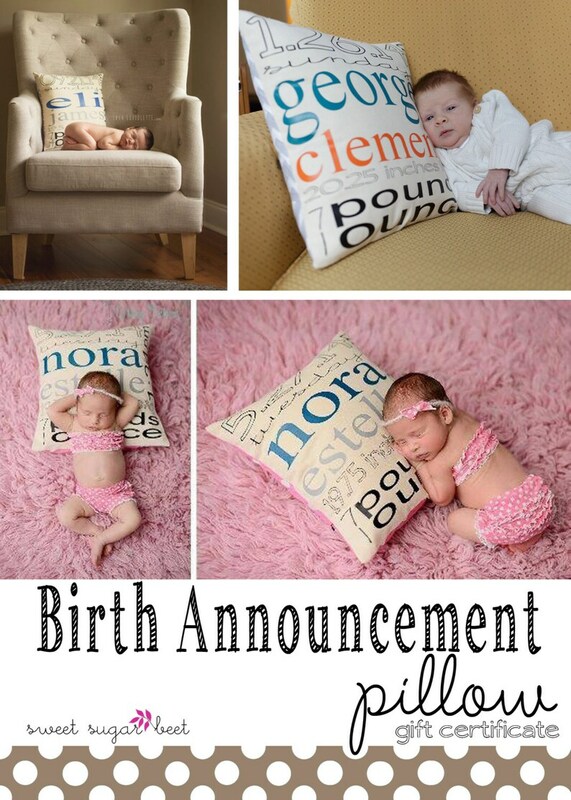 Personalized information includes the child's first and middle name, date and day of birth, time, height and weight. Pillow Cover & Pillow - a complete gift! Birth details printed and adhered by thermal transfer onto a heavy natural colored duck canvas. 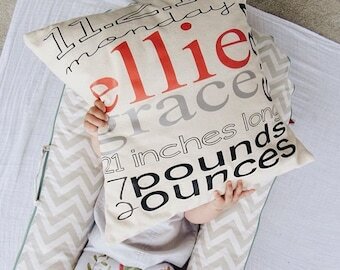 The backside of the pillow is a designer fabric of your choice. The closure of the pillow is envelope-style for easy removal. Machine washable. Spot clean recommended. NOTE: This listing for a GIFT CERTIFICATE. The certificate can be mailed to the giver or the receiver. Please indicate at checkout if a special note is to be included. Shipping for the actual pillow is included in the cost of the pillow. The certificate mails free of charge. Shipping charge is for the actual pillow once it is ordered and shipped to the recipient. Turned out great! Exactly like I had hoped.